With September around the corner, many Canadians are preparing to close up the family cottage. And some are facing the reality that they’ll be inheriting the family cottage sooner rather than later. If you find yourself in this position, keep in mind that inheriting a property isn’t as simple as some of us think. Many people who get the family cottage in a parent’s will think of it as a free gift. It’s not. It’s subject to a substantial capital gains tax. The Canada Revenue Agency (CRA) figures out the fair market value of the cottage. They also determine the property’s adjusted cost base, which is the amount your parents paid for it plus the cost of any improvements they’ve made over the years. The fair market value minus the adjusted cost base is your capital gain. You’ll be taxed on 50% of this capital gain at a marginal tax rate of 40%. So, if your parents purchased your family cottage in the 1970s for $50,000, and its fair market value the day you inherit it is $350,000 (and they’ve made no improvements), you could face a tax bill of $60,000 or more. Some parents mistakenly think they’ll be better off giving their child the cottage as a gift while they’re still alive. But the capital gain tax still applies. It simply shifts from the child to the parent. Another mistake parents make is selling the cottage to one of their children for a nominal amount, say $1. Van Cauwenberghe says this is the worst option of all. Remember that the CRA uses fair market value to calculate capital gains, not sale price. Using the example above, the parents who sell the cottage will still be on the hook for capital gains taxes of $60,000. Even worse, the child who bought the property will face a huge tax bill when they eventually sell, because the CRA will use the $1 purchase price to calculate the property’s adjusted cost base. Think about it: If the child eventually sells the property for $600,000, they could pay taxes on a capital gain of $599,999. Besides taxes, there are other costs to consider. Has the cottage been paid off? If not, you’ll be paying the outstanding mortgage. Does the cottage need renovations? How much are property taxes? If you don’t want any surprises, talk to your parents about all of the costs you’ll have to take on. While gifting the property or selling it for a nominal amount won’t work, there things you can do to minimize the tax bill. Remember that the property’s adjusted cost base is the amount your parents paid for it plus the cost of any improvements they’ve made on the property. And the higher your adjusted cost base, the lower your capital gains tax. So make sure your parents save all receipts for work they’ve put into the property. Another idea is to have the cottage designated as your parents’ principal residence, because the CRA allows everyone to have one principal residence that’s exempt from capital gains tax. If the family cottage has gone up in value more than another home your parents own, this option could work. However, says van Cauwenberghe, your parents may not have much to sell. And you may not want to go into debt to inherit the family cottage. If that’s the case, you’ll want to make sure your parents have adequate life insurance to help offset your costs. If your parents can’t afford life insurance, think about paying their premiums for them. There are other ways to minimize your capital gains tax. And there are likely many costs associated with inheriting the family cottage that you’ve never thought of. Before you take over the keys, talk to a trusted financial advisor, accountant, or tax or estate lawyer. 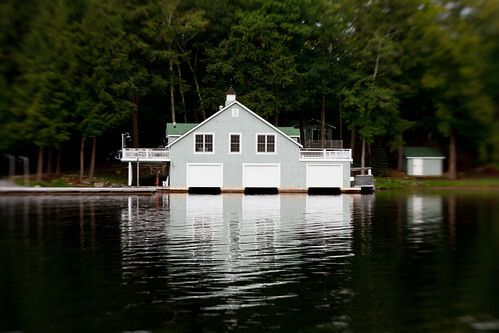 What if you inherit a cottage (cottage mortgage paid off) and you do not have a home (e.g. you rent an apartment), so the cottage you inherit you decide to make your principal residence, does this make it less expensive with regards to taxes?